Michael Pritchard has represented individuals and business before many state and federal courts and administrative agencies on Title VII, ADA, ADEA, FMLA, ERISA, and other employment cases. In addition to litigation of employment matters, Mr. Pritchard also advises employers on compliance with federal and state employment laws, employment policies and handbooks, non-compete agreements, handling internal investigations of discrimination and harassment and best practices for a variety of other human resource issues. With a background in labor and employment law, Mr. Pritchard’s practice quickly spread to other areas of civil and criminal litigation. 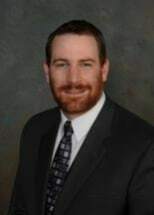 Mr. Pritchard has tried cases in state and federal court ranging from civil cases involving contract disputes, fraud, construction law, real estate, and consumer protection to criminal cases involving larceny, identity theft, government contact fraud, conspiracy, bribery and other white collar crimes. Mr. Pritchard’s criminal practice includes extensive work handling drug offenses, DUI/DWI and other traffic offenses. He also has experience with juvenile cases both in the Juvenile & Domestic Relations Courts and in school board expulsion/disciplinary hearings.